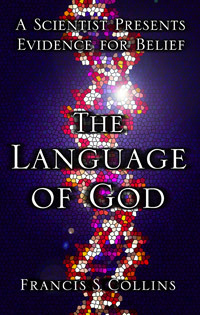 The Language of God: A Scientist Presents Evidence for Belief, by Francis S. Collins (Free Press, 2006, ISBN 0743286391). Paul is University Professor of Life Sciences, emeritus, University of Virginia. He served as Vice President and Provost of the university before assuming direction of the Shannon Center for Advanced Studies and the Molecular Biology Institute. He was a biology professor at Brown University and MIT, and Director-President of the Marine Biological Laboratory, Woods Hole, from 1978 to 1988. Gross’s research disciplines are developmental and molecular biology. During the past decade he has been involved in science education issues. With co-author Norman Levitt he published Higher Superstition: the Academic Left and its Quarrels with Science, and with Barbara Forrest, Creationism’s Trojan Horse: the Wedge of Intelligent Design. Hot debate over evolution, creationism, and science education for children is mainly a USA affair — so far. But commentators elsewhere, especially in Europe, needn’t be smug. This is not just another tasteless American export. It is in full career wherever one of the Abrahamic religions is established or is the majority faith. A scan of current creationist websites, including those of the US-based Intelligent Design (ID) movement, reveals the spread. For those committed to honest inquiry and who think that religion and some respect for tradition have social value, this should be discouraging. The test for admissibility of expert testimony in the courts, well-established here for scientific witnesses, concerns the quality of their credentials and of their contributions to the professional literature. The number of such contributors, well-credentialed evolutionary biologists, who recognize problems with the discipline sufficient to call the basic facts into doubt, is effectively zero. Why, in the face of that, do the debates rage on, even in deadly serious politics, when we have so many serious problems to solve? 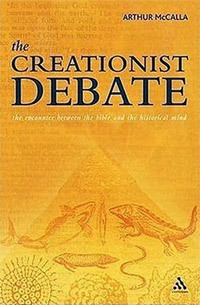 Creationism opposes not only biological evolution but all historical sciences in order to protect the inerrancy of the Bible by locating its words beyond the complexities and uncertainties of historical existence … Attacking creationism for its scientific errors is like attacking the body of a sorcerer whose soul is safely hidden away. The attack must instead be directed against its unspoken conviction that the Bible transcends history. McCalla is not attacking creationism. He is explaining why painstaking responses to its endlessly recycled “scientific” arguments are useless. Creationist wars happened before the Reformation, but the probability of their occurrence and their likely violence were given a strong push by early Protestant insistence upon the plain sense of Scripture. If, indeed, the fundamental truths of God are available to every man, unmediated, in Scripture; if the Bible is the Word of God, then interpretive coatings on the primary texts were best stripped away, revealing that plain sense — the Truth. But what if the plain sense doesn’t make sense? Centuries had to pass before so appalling a question could be asked. But of course it was asked, however privately, once Christian scholars became amply aware, as in the Renaissance, of relics and records of peoples other than their own. Important parts of Scripture (Genesis and Exodus, for example) are assertions about cosmology and history. Newly discovered records told of antiquities inconsistent with that plain sense of Scripture. For a long time such pagan records could be dismissed as satanic fables; but the dismissal could not be sustained as philology led Europeans to recover ever more of the accounts of ancient and distant civilizations. The new hermeneutic of “accommodation” then attempted to explain apparent errors and inconsistencies of the Bible as the need of ancient scribes to make the holy narrative understandable to the masses. Still, something remained amiss with the ostensible plain sense. The genius of Isaac Newton, hubris and humility locked in battle, was dedicated as much to discovering the truth of the Book of God as it was to the Book of Nature. His alchemical researches combined the two quests. In the effort to strip foolishness away from a transcendent biblical truth, he became an anti-Trinitarian and, in effect, anti-Christian. Only genius saved his professorial chair and respectability. Gottfried Wilhelm v. Leibniz, his great rival, had to invent, not just an infinitesimal calculus, but also a new sub-discipline for theology — theodicy. Evil and suffering are inconsistent with an omnicompetent and omnibenevolent God. Therefore the serious effort of godly wise men was needed to explain them away. But Earth soon gave inquirers another category of antiquities: the stony record of fossils. What had been dismissed as a natural “plasticity” of Earth’s inorganics, capable of crudely imitating living forms, was recognized as the real thing, petrified. The rise of geology and paleontology led to recognition of a world not only vastly older than proclaimed by religion, but one with recurrent change rather than a single Deluge. That world had been inhabited by countless living kinds long vanished, succeeding one another over unimaginably long intervals. Fossil animals were studied, and systematized, inter alia by Cuvier (himself no evolutionist): a dead world buried beneath his Paris and the other cities, under country meadows, exposed on hillsides and on mountain outcrops. Current idiom refers to “the elephant in the parlor”: a huge unmentionable known to all. 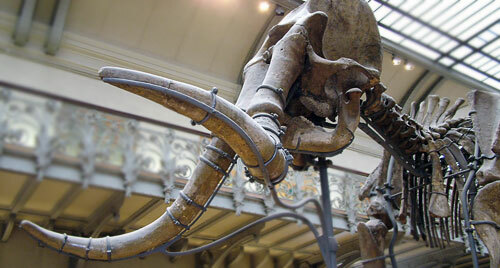 By the early 19th century, human curiosity had discovered, not an elephant, but a mammoth, in the garden. Of that, soon, there had to be mention. During the first third of the century, the reality of deep time was recognized by many serious inquirers. Battles raged between diluvial geologists and Scriptural geologists, but the outcome was in sight. Thereafter, the problem would be to harmonize Scripture with the exploding sciences of Earth and life, not the reverse. In vain do we aspire to assign limits to the works of creation in space, whether we examine the starry heavens, or that world of minute animalcules which is revealed to us by the microscope. We are prepared, therefore, to find that in time also, the confines of the universe lie beyond the reach of mortal ken. But in whatever direction we pursue our researches, whether in time or space, we discover everywhere the clear proofs of Creative intelligence, and of His foresight, wisdom, and power. This was the man who became a mentor to Charles Darwin, a close friend, his highest-ranking scientific supporter, the introducer to official science of the insight Darwin and Alfred Wallace had hit upon: transmutation of species through the agencies of spontaneous biological variation and their natural selection. Remaining, however, was the argument from design, refurbished from ancient models by William Paley. Long after Darwin, and to the present, that argument, which allows the scientific evidence to be ignored, remains an indispensable comfort for most people. It is the surviving assurance — as McCalla argues — for all who fear that to dispute any plain sense of the Bible is to deny the whole. What, however, of the new evidence ignored? Is it really strong enough to justify taking any passage of Scripture as mere metaphor? Of course it is. The evidence of evolution is no less strong than the evidence that a “force” exists which causes mass objects to attract, and that this force explains the motions of the planets and their satellites. There is a great deal about the fundamental character of “gravity” that we don’t understand; but that is no reason to doubt its existence. We can observe and measure it. We observe and measure evolution. Wallace Arthur, Professor of Zoology in the National University of Ireland, tries in Creatures of Accident, to bring those observations and measurements, and their best interpretation, to the general reader. This is a truly painstaking effort to make the core science comprehensible to laymen. But there are other purposes as well: equipped with a good glossary and no distracting notes, the author argues for a new view of evolutionary mechanism (and he is concerned about its relationship with religion). The new view (whose novelty is only mildly controversial among evolutionists) is associated with “evo-devo,” evolutionary developmental biology. Its base is the assertion that neo-Darwinian theory is preoccupied with genes and changes in genes that cause biological variation. But while the usually observed variations can and do, under the action of selection, lead to varieties and perhaps some new species (“horizontal” evolution), they do not necessarily account for the evolution of fundamentally different and increasingly complex body plans — “vertical” evolution. Such is the claim. Not for a moment does Arthur deny the fact of evolution or the reality of Darwin’s mechanism. But evo-devo insists that standard gene-change theory can’t fully account for the emergence of form. In his opinion the new science does so. 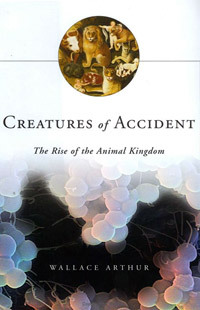 Arthur demonstrates it by a colloquial pedagogy: from elementary embryology to recent discoveries of regulatory genes and expression factors, their changes over time, and their role in producing a supply of (“accidental”) changes in body design, changes that often increase the complexity of the animal. Complexity is the crux. Arthur is explaining how new design information comes into existence, increasing biological diversity via developmental processes we now understand at least in principle. What he and his colleagues do not say often enough is that in the end it is how the genome — the interactive set of all genes of a species — emerges after an accidental change, and the action of selection upon its emergent phenotype, which after all makes for evolutionary change. The existence of a Creator inhabiting as-yet-unknown dimensions, whose only involvement with the universe was to launch it forth from nothingness (why? ), who does not direct the evolutionary process … is impossible to decide upon with the evidence available to us. So belief in her absence is as much an act of faith as belief in her presence. Agnosticism, on the other hand, represents a lack of belief in either direction. This last-minute pitch for agnosticism, as excuse for denouncing atheism as a faith, has two flaws. First, the atheists who matter, those who teach or write books, have little or no interest in an high-dimensional Deus absconditus. Their target is the familiar, elusive, multiple-unitary God of the Bible, and the certainties taught about Him. Second, disbelief in something is not belief in something else. Does it work for dealing with “creation science,” or “intelligent design?” Yes. The book includes a clear, uncondescending summary of the newest evidence for evolution, including human evolution, precisely as mainstream biology provides it. These chapters are graced with compelling charts and simple illustrations that confirm descent with modification. For example, there is a chart that lists the likelihoods of finding a similar DNA sequence in the genome of other organisms if one starts with human DNA. The figures are astonishing, especially if one starts with a randomly-chosen, non-coding (not in a gene) stretch of human DNA. In Chimpanzee DNA, the likelihood of a match is 98 percent. For the dog, 52 percent, for mouse, 40 percent, for chicken, 4 percent, and for the roundworm, zero. It is hard to imagine a more solid demonstration of relatedness and descent. As Collins notes, such data make sense only in light of evolution. What then of the “Evidence for Belief,” the book’s subtitle? That must be a mistake. Perhaps it was meant to read — it certainly should read — “Evidence of Belief,” for that is what it amounts to. The hope that this distinguished scientist would teach us something new about harmony of the scientific facts of human life with the spiritual is dashed. Dr. Collins is a humble admirer and student of C. S. Lewis, the Oxford literary don, essayist, and novelist who dedicated the latter part of his life to (what he, Lewis, termed) “Mere Christianity.” Lewis was one of the most unexpected and talented of 20th century Christian apologists, a brilliant writer. He made no great impression on theology or philosophy. What Collins gets from Lewis, whom he quotes at great length, is that humanity differs from animal life in a single attribute: its universal moral law, its sense of right and wrong, the capacity and the desire for altruism. For that, says Collins, there can be no evolutionary explanation. It must have been installed by God. On that basis, he reports (with some goading from the beauty of nature), “I knelt in the dewy grass and surrendered to Jesus Christ.” There are other arguments: all are minor by comparison. We have a moral law that must be outside biology and history. Collins, who is clearly aware of the existence of such disciplines as evolutionary psychology, a good part of whose literature deals with altruism — not just in humans — dismisses it all as (mere?) “sociobiology.” For him our urge to do the right thing is evidence of God. If some hundreds of thousands of current believers in God are convinced that God wants them to kill Americans, that’s just their mistake. Collins surely believes that human behavior, like other animal behavior, has evolved; but he makes an exception of morality. How does he deal with the problem of evil? Unfortunately, his theodicy is naïve. He thinks that if God were to reveal himself too clearly, humanity would become uniformly believing, and that wouldn’t be “interesting.” For Collins, evil is due to the necessity of evolution, for destructive-constructive changes over time, necessary failures along the way. That belies God’s omnipotence and omnibenevolence, of course, but it doesn’t seem to matter. We find here a theistic evolution, not of the weak kind with a remote deity uninvolved with us, but the strongest version. So McCalla, historian-philosopher of faith and science, tells us that conflict between religion and science is not about science, but about the historicity of Scripture. If you attend to the empirical data you must conclude that the Bible (or the Tanach before it was redacted for Christians, or the Qu’ran) was authored by men in ancient times; or else you believe that Scripture is outside history and inspired by God. If you choose history, you may choose which parts of Scripture to believe. But does it not follow that, if you deny history and are committed to a divine origin, you accept Scripture complete? No, it does not. What these three books show is that all believers of any experience or sophistication cherry-pick — just as do non-believers. Evolutionist Wallace Arthur is unwilling to be agnostic on the Christian God (there he is an atheist) but is agnostic about an undefined extra-dimensional creator. Francis Collins is a devout Christian who cherry-picks the Bible that he insists is God’s word. What we learn, then, is not that harmonization has ever happened or even that it is possible; only that harmonization is so far a strong, continuing human need. Science changes as all knowledge changes, some parts slowly, some overnight. Nothing written two thousand, one thousand, or even a few hundred years ago about the way things are in the physical world can be right about how things really were then or are now. Of what we think we know about how things are now, some but not all parts will be dead wrong a hundred years from now, some much sooner. But the comforts and social uses of evidence-free belief in a reality outside nature are ancient, impervious on any large scale to debate based on logic, and probably still necessary for social cohesion. We are, sometimes unfortunately, a social species. The only question is whether the comforts of the selectable sacred, of ignoring those mammoths buried in the garden, are on balance good or bad for human life. The jury is still out. On February 15th, Michael Shermer and William Dembski continued the Evolution versus Intelligent Design debate at Bridgewater College, Bridgewater VA. Below we link to two reviews of the debate: the first appeared on Uncommon Descent (an Intelligent Design blog) and the second appeared on the Panda’s Thumb (a blog devoted to defending the integrity of science).